Scarabaeus Green 5328 Bicone Swarovski Crystal Beads 3mm. 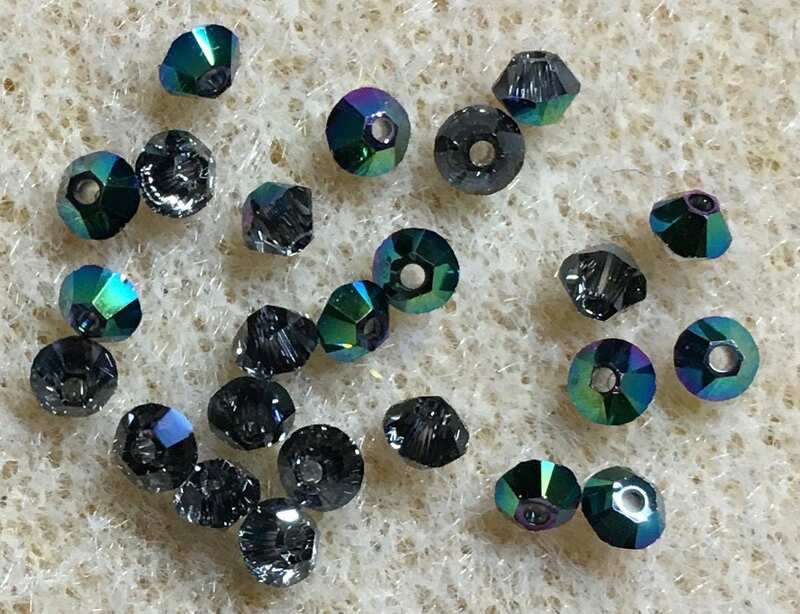 Bag of 24 Scarabaeus green 5328 bicone shaped Swarovski crystals measuring 3mm. Very nice! Fast shipping and wonderful shop owner!